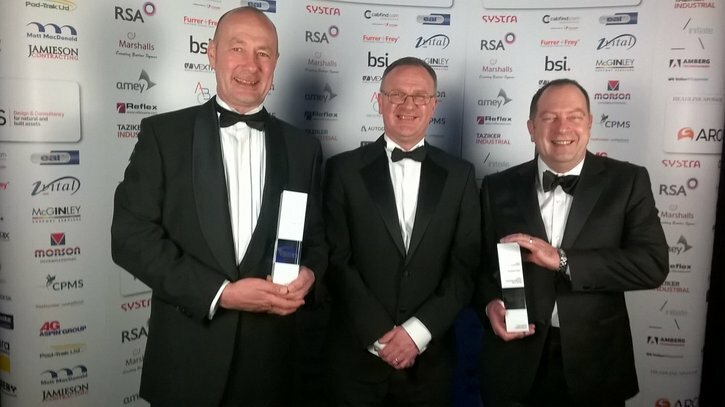 Congratulations to our Old Oak Common team for winning two awards at this year’s UK Rail Industry Award ceremony. The awards celebrate excellence and innovation across the industry, and the team won both the ‘Cost Base Reduction’ and ‘Environmental and Sustainability’ categories for their development of a hybrid renewable energy system. The system is expected to significantly reduce CO2 production and operational costs on the project, which is a design and build contract for the new Crossrail Train Maintenance and Stabling Depot at Old Oak Common Lane in Acton. The depot will provide client, Bombardier Transportation UK Ltd, with maintenance, stabling and office accommodation for the new Crossrail fleet of 66 trains.